In today’s ever-competitive market, diversification is a must. And that includes diversifying your prospecting marketing plan. First and foremost, your prospecting marketing campaign should use media channels that fit your brand. At the same time, using a variety of channels lets you explore and test unproven methods without risk. Just as a financial investor lowers your overall risk by developing a diversified selection of investments, your business can benefit from such diversification. Using a broader range of marketing tools also increases your response rates, because you’re giving consumers the convenience of different ways to respond to you. Sourcing new leads from multiple media including social media, mobile, online, email and direct mail keeps the face of your company anywhere the potential prospect may look. It’s also important to take the time to evaluate your goals to match them with the right channels. Are you selling a higher-priced item? A more detailed print mailing might work, whereas a postcard mailing program might fit a lower-priced product or service. Additionally, the buying profile of your targeted consumers should be considered. Are your consumers active or passive? Are they tech-savvy or old school? Do they buy on impulse, or do they require nurturing and education? 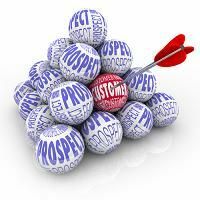 With solid knowledge of your brand, your customers and your goals, you can implement an effective prospecting marketing plan. At Continuity Programs, our tried-and-true prospecting marketing program has been getting results for businesses for 40 years. That’s because our method of targeting the neighbors of your satisfied customers works, regardless of the industry. With SurroundMail, you can choose a program that uses a tri-fold print mailing or jumbo postcard, both of which can be customized to fit your company brand and promotion. The campaign will be personalized with each salesperson’s picture and contact information including website and email address. By adding a QR code, you can truely create a cross-media prospecting program. Your business can benefit from prospecting marketing with Continuity Programs. Contact us, and find out how we can put our customizable, personalized turnkey marketing solutions to work for you. Pingback: Tried and True Prospecting Program Techniques | Continuity Programs Inc.